Cesar Azpilicueta signs - Chelsea's most outstanding defender agrees a new long-term contract. Cesar Azpilicueta has signed a new long-term contract at Chelsea until the end of the 2020 season and it's excellent news as Chelsea head into the busy Christmas period. Having signed for an absolute bargain four years ago for just £7m, the Spanish defender has been our most reliable and consistent performer in our back four. Whether it has been to play as a right back, a left back or to now play as a centre back, his performances week in, week out have been outstanding and I personally believe he is playing better than ever this season so far. 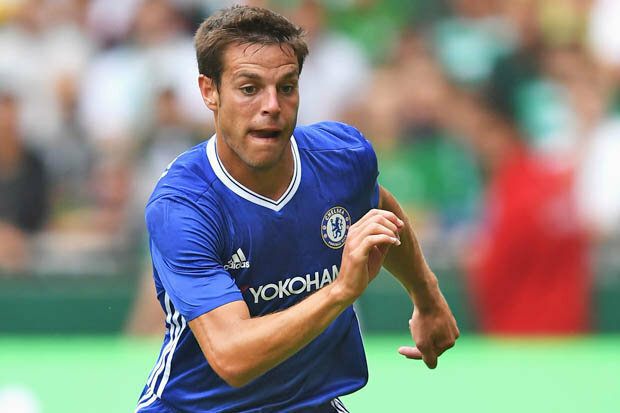 Just two seasons ago, the SkySports Pundits Gary Neville and Jamie Carragher had named Azpilicueta as the best out and out defender in the Premier League. If anything and I am sure that most of you will agree, he has got better and better after everyone suffered a nightmare last season. It's very rarely that you will see him get beaten by someone in games. If he just has to make a tackle to put the ball out of play he does it, if he can stop you in your tracks, win the ball and give the ball forward early he will, but overall there are very few games where you walk away from it thinking that he had a bad game. “Since I arrived here my target was to progress as a player and win trophies. This new contract gives me the chance to continue my relationship with the club. That’s what I wanted and obviously I’m really happy here. We’ve had some really good moments this season. From day one, we started working very hard. We have a new manager with new ideas and I’m really happy to be working with him. Obviously we can still improve but the long-term aim for us is to win trophies, that is what we all want, the players, manager and fans.” - Source: The Guardian. "We are delighted Cesar has chosen to extend his stay with us. Since he arrived four years ago he has proved himself to be an excellent professional and a top player, which he shows in every single training session and match. Cesar wasted no time in adopting the Chelsea mentality and spirit, and anybody who has met him will have seen his incredible and undiluted commitment to the Chelsea cause." - Source: ChelseaFC. What do you think of Azpilicueta? Do you agree that he has been the most consistent and reliable defender here ever since he signed? Also, how do you think he is playing now having made the switch to centre back?